Open: 10AM to 5PM. 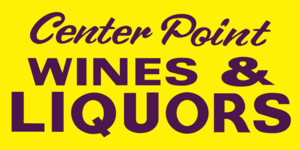 Tues. thru Sat. & 1PM to 5PM Sun. In the heart of Middle Tennessee lies a beautiful county with lush landscapes, farmland, wildlife, and world-renowned artists! 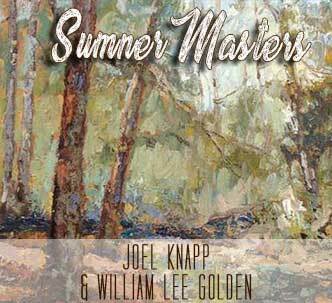 Yes, Sumner County is home to some of the world’s most recognized names in music and art and Monthaven Arts and Cultural Center is proud to highlight two of these artists and their works in the upcoming show, Sumner Masters: The Art of Joel Knapp and Photography of William Lee Golden. WILLIAM LEE GOLDEN is one of the most recognized personalities in Country and Gospel music, having garnered the highest accolades as a member of the legendary group The Oak Ridge Boys. Now, the renowned “Mountain Man” is climbing to new heights in the world of fine art. He’s has found considerable success with his paintings and he’s finding even more success with a new visual medium, photography, where he often focuses on landscape portraits and scenes. William Lee Golden has earned recognition for his individual achievements in both music and art. Over the years, the iconic features of the Singing Painter have been the subject of many sketches, paintings and sculptures by other world-renowned artists. Golden has received the “Entertainer Of The Year” Award from the Cherokee Indian Association, which is comprised of 21 tribes from across America as well as the “Lifetime Achievement Award” from the Alabama Music Hall of Fame. Joel uses lively color in an impressionistic style with oil paint to capture a feeling of time and place to share the blessings he feels with others. 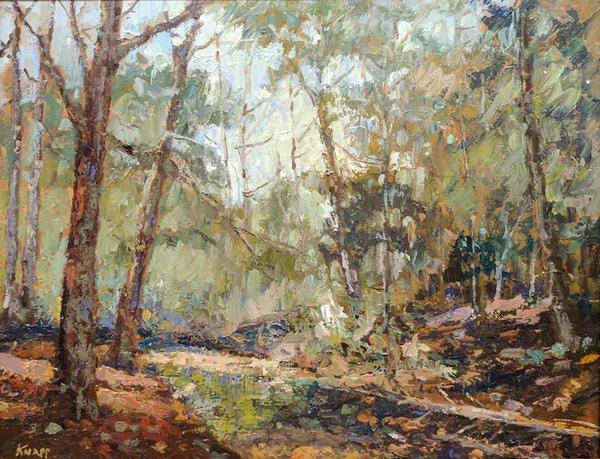 He paints a wide variety of subjects, plein air and studio works, in the United States, Europe, and beyond. The Monthaven Arts and Cultural Center is home to Historic Monthaven Mansion. Circa 1863, Monthaven is nestled in beautiful, Sumner County. The Monthaven Arts and Cultural Center is Sumner County’s first arts museum of its kind and is an inspiring addition to the Greater Nashville Region’s Arts and Museums community. Our mission is to collect, preserve and interpret local and regional art and present exhibits of regional, national and international importance. History, arts, education, and community will remain an ever present commitment to the Monthaven Arts and Cultural Center. Join us and attend any of our art openings and exhibits and participate in our many art classes for adults and children. Or, discover how you can reserve this beautiful piece of Tennessee History for your next event and leave a lasting impression on your guests. CHEATING COMPLACENCY: A riot of color, wild ideas and dreams.